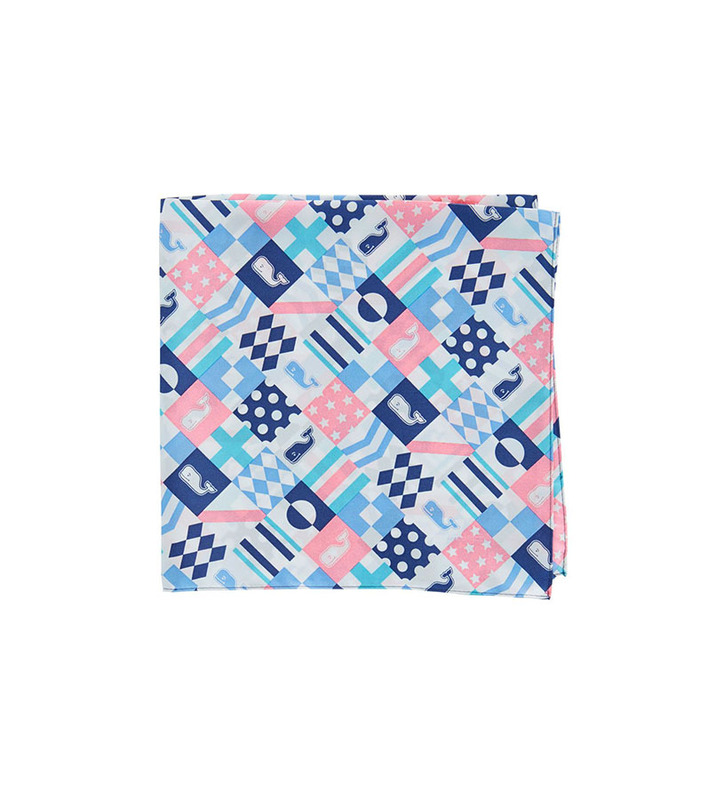 100% imported printed silk pocket square features hand rolled edges. Printed with a jockey silks patchwork pattern. Handmade in the USA.